6in x 9in 2in thick. 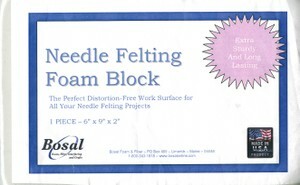 The perfect distortion free work surface for all your needle felting project. Extra sturdy and long lasting.